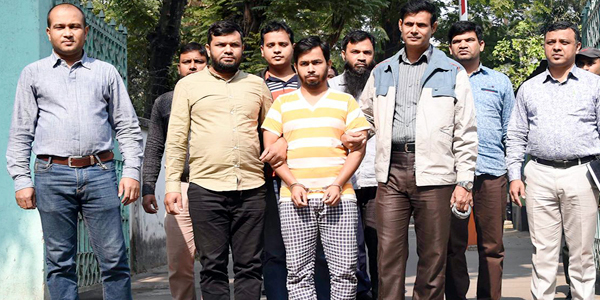 Dhaka – Police have arrested the main suspect in murder of two Bangladesh gay rights activists in an apartment building in the capital Dhaka in 2016. The security officials picked up Asadulla alias Zayed from Tongi Bazar, an outskirt of the capital Dhaka nearly three years after activists Xulhaz Mannan and his friend Mahbub Tonoy were hacked to death by suspected Islamists on April 25, 2016. The brutal killing of the activists sent a chilling message among the other progressive activists as more than five other secularist bloggers were stabbed to death by the Islamists between 2013 and 1016. Nationwide anti-terrorists raids, in response to those attacks, however, bring a sigh of relief among many despite the facts a huge number of freethinkers and rights activist fled to safety in Europe or America. The head of anti-terrorism unit of police, Monirul Islam, said the lawmen captured Asadulla based on secret information. The police, earlier, arrested three other suspects linked with the murder of Mannan and Tonoy. Footage of close circuit camera was used to capture the criminals. The investigators believe Asadulla is the key suspect as he planned and executed the murder of the activists, said Monirul Islam. A group of machete-wielding assailants broke into Mannan’s apartment in Dhaka’s Kalabagan and hacked him to death along with Tonoy. Mannan was an employ of the USAID in Dhaka and the editor of Roopbaan, a magazine advocating for gay rights in Muslim-majority country, while his friend Tanoy was a theatre activist. The Islamist group in a tweet after the killing claimed that Manaan and his friend had been promoting homosexuality in Bangladesh, where homosexuality is punishable offence by law. A case was filed with the Kalabagan police by Mannas brother Minhaz Mannan against six unidentified suspects on the night of the incident. Police also filed a case against unknown assailants. The government banned militant group Ansar Al-Islam after the killing.